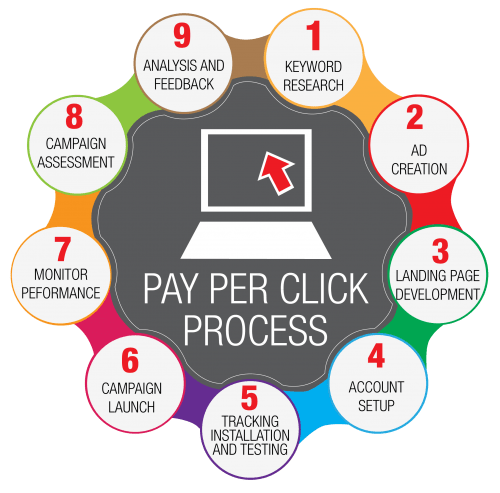 PPC Services for Colleges – Implementing pay per click advertising in college like engineering colleges, MBA Colleges or universities official website is the best way to increase the reach towards millions of users instantly. With the help of PPC you can not only increase the business reach but also get instant leads and it also help in branding. So if you want that you can get leads instantly then you need best PPC Company for colleges who has experience in running paid advertisements in Google through Google AdWords and Bing. When it comes to best PPC Company for Universities or college, you can ignore WebHopers. 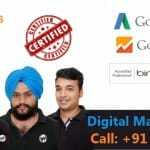 We are Chandigarh based Digital Marketing & Web Development Company who has team of Google AdWords and Bing Ads certified professionals and known for proving result oriented PPC services for college and universities. We have 6+ years of experience in running PPC campaigns for college which has high CTR (Click Through Rate), Low CPC (Cost Per Click) and Low CPA (Cost Per Acquisition). 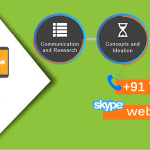 For more information you can call us at +91 7696228822 or you also chat with our PPC experts on Skype at webhopers and ask for best services. Why You Need to Implement PPC Advertising in Your College or Universities websites? In modern day of internet old traditional marketing is losing the plot as the time goes on. Most of the people loves to search for colleges and universities on google and review them accordingly. But in India there are number of universities and colleges which are looking for students. But as we above said that most of the people search online. So in order to get that potential students your college website should be listed on top so that more parents or students click on it and you can get inquiries. Instant reach towards millions who are searching for colleges or universities. You can plan your business reach according to your own. Also maximize ROI with PPC. Google AdWords PPC campaigns creation, optimization and management. Bing Ads PPC campaign creation, optimization and management. Google Display advertising for colleges and universities. It also includes creation, optimization and management. Remarketing and retargeting for colleges and universities for branding. Video advertisement marketing for colleges for branding on Youtube, Hotstar etc. We provide best Google AdWords Services for Colleges like Engineering Colleges, MBA Colleges, Universities, Graduate Colleges, Post graduate colleges etc. What Makes WebHopers Best in Providing PPC Services for Colleges and Universities? 6+ years of experience in running and managing Colleges PPC advertising campaigns. Work for getting 10/10 quality score in which you have to pay less for click and your ads can get high CTR. Experts in doing campaigns A/B testing in order to increase more conversions. Experts in CRO of any campaigns. Best in display advertising and remarketing. Our Chandigarh based PPC Company for Colleges not only serves colleges or universities which are located in Chandigarh, Panchkula, Mohali, Punjab. 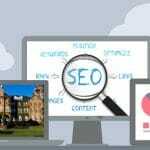 There are several universities and colleges enrolled with our PPC services for several locations like Mumbai, Delhi, Bangalore, Pune, Hyderabad, Chennai and all other parts of India. Most of the colleges owners or marketing team thinks that running PPC campaigns for college is not an hard task. Yes they are right. Running pay per click marketing campaigns for colleges in Google is not an hard task. But when it comes to running ppc campaigns for colleges which has high CTR and has high conversion rates and have low acquisition cost need expertise and experience. So if you want to implement result oriented PPC techniques in your college website. Then contact WebHopers on below mentioned contact details. Increase the ROI of your College by implementing Google AdWords Services for Colleges provided by WebHopers and get more customers from search engines.